The fated final four words to end “Gilmore Girls” have finally been spoken, and fans are having a strong reaction. 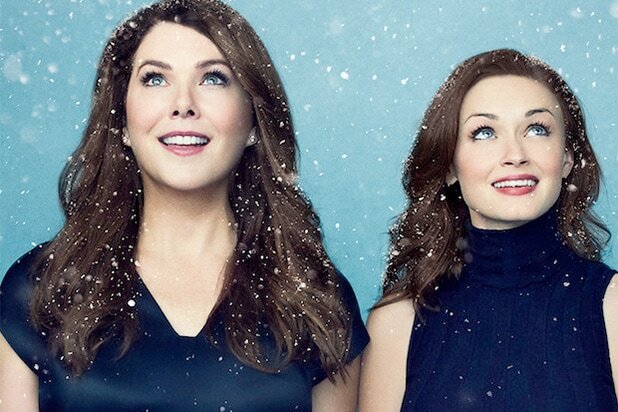 As well they should, since the conversation between Lorelai (Lauren Graham) and Rory (Alexis Bledel) opened up far more storyline possibilities rather than wrap everything up in a tidy fashion. “The ending. No. this cannot be the ending,” said one distraught fan on Twitter. Rory’s confession opens up a whole host of questions, not the least of which is: Who’s the father? Of course, the likely answer is Logan (Matt Czuchry), the college ex-boyfriend she’s been having an affair with throughout the entire revival series. There is also the absent boyfriend Paul that she keeps forgetting exists, but he and the “Star Wars” cosplayer she had a one night stand with seem like far less likely suspects. However, since Rory and Logan broke off their friends-with-benefits arrangement, a baby doesn’t necessarily mean they will be getting back together. In fact, if history repeats itself, could we be in for a second round of a sort of Lorelai-Luke-Christopher love triangle? Lorelai may have had a baby with her high school boyfriend Christopher (David Sutcliffe), but years down the line, she ended up marrying Luke (Scott Patterson), the best friend who was there for her throughout her single mother trials and tribulations. Jess (Milo Ventimiglia) is back in Rory’s life, playing the supportive friend who just happens to be a fellow writer who understands her very well, and we know he’s not exactly over her as of this revival series. 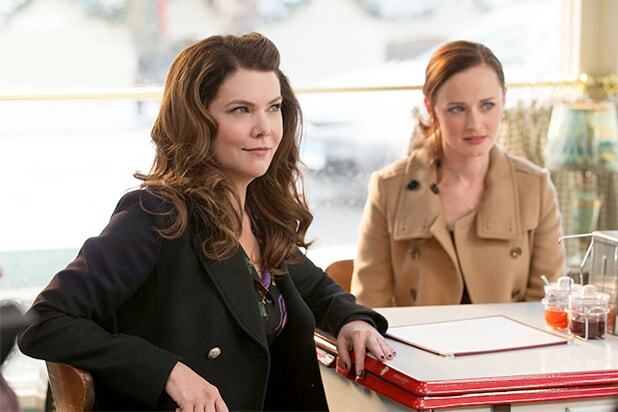 Of course, there are some differences between Lorelai and Rory’s situations. Rory is 32, exactly twice as old as her mother was when she had her at 16, and she’s had very different relationships with the men in her life. If the fan reaction to the final four words are anything to go by, the universe is demanding more. See a sampling below. Binge: "Gilmore Girls: A Year in the Life"
A reunion nine years in the making, the further adventures of Lorelai and Rory are available to binge, for 90 minutes at a time, starting at midnight on Thanksgiving. Watch: "A Charlie Brown Thanksgiving"
A decades-old turkey day tradition, the holiday barely counts without sitting down the whole family to watch Snoopy and the gang celebrate Thanksgiving. Wednesday, 8 p.m. on ABC. All six classic "Star Wars" films, three prequels and three original, are airing back to back on TNT, Friday, starting at 6:45 a.m.
You still haven't seen "Stranger Things"?! Well, now's your four-day weekend chance. Bonus: The strong nostalgia factor and strong young cast should make this a fun adventure for the whole family. Yay for getting up super early to watch a bunch of giant balloons float through New York City! AMC is marathoning five classic westerns starring the ultimate cowboy, starting at 10 a.m. on Thanksgiving. If Thanksgiving is all about football for your family, here's when to catch the three NFL games on Thursday. Minnesota at Detroit airs live at 12:30 p.m. on CBS. Washington at Dallas airs at 4:30 p.m. on Fox. Pittsburgh at Indianapolis airs at 8:30 p.m. on NBC. Watch every single episode of "The Simpsons," all 600 of them, starting at noon on Thanksgiving, running back to back to back to... through Tuesday, Dec. 6. Time to get in on everyone's latest Netflix obsession, a 10-part chronicle of how Queen Elizabeth came into power. TBS has succummed to the binge-model and released all the episodes of its new comedy series, but if you don't feel like navigating through the app, all episodes will air on TV starting at 8 p.m. Thanksgiving. Watch: "Anne of Green Gables"
Thanksgiving is the perfect time to introduce a new generation of fans to this classic children's tale, which has gotten itself a brand new remake starring Martin Sheen and newcomer Ellen Bellatine. Thursday, 8 p.m. ET on PBS. Thanksgiving is the perfect time to catch up on the breakout family drama hit of the fall season, and bonus: the latest episode is all about the Pearson family Thanksgiving. Wrap yourself in warm familiarity with TVLand's weekend marathon of Thanksgiving-themed episodes from shows including "Everybody Loves Raymond," "The King of Queens," "Roseanne" and "How I Met Your Mother."